The American Livestock Breeds Conservancy secures the term Heritage Chicken in effort to raise awareness for consumers and breeders. In an effort to secure the term Heritage in the food and agricultural marketplaces, The American Livestock Breeds Conservancy (ALBC), a nonprofit organization ensuring the survival of rare breeds of livestock and poultry, has defined the term Heritage for chickens. ALBC’s newly released definition for Heritage Chickens: Standard breeds of chickens as defined by the American Poultry Association that are naturally mating, long-lived, and slow growing. The Heritage breeds must reproduce without the assistance of artificial insemination. While artificial insemination is not currently used for commercial chicken reproduction, it is very possible for chickens to follow the same path as industrialized turkeys, which are now reproduced exclusively using artificial means. Heritage hens should actively reproduce for 5-7 years and roosters for 3-5 years. This is unheard of in commercial production where hens and roosters are used for breeding for a single generation before being dispatched as less than efficient. 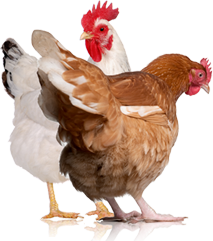 Heritage Chickens are also slow growing by modern commercial standards, taking 16-18 weeks for Heritage Chickens as compared to 6 weeks for an industrial breed to reach a dressed (packaged) weight of 3 pounds. According to the ALBC, chickens have been a part of the American diet since the arrival of the Spanish explorers and since that time, different breeds have been developed to provide meat, eggs and pleasure. After World War II, traditional or Heritage breeds of poultry began losing favor to modern crosses specifically bred to meet production goals. Today, many Heritage breeds are losing popularity and many are nearing extinction. One of the goals of having the definition is to: Raise awareness for endangered breeds, to support their long-term conservation, to support efforts to recover these breeds to historic levels of productivity and to re-introduce these culinary and cultural treasures into the marketplace. According to Bender, the definition helps ensure these chicken breeds are explicitly defined by the American Poultry Association, like breeds of dogs are defined by the American Kennel Club, for example. Frank Reese, the founder of Good Shepherd Turkey Ranch in Lindsborg, Kansas, has been at the center of the push to get Heritage breeds back in the marketplace. Reese, who is committed to conservation, was very pleased in the surge in interest surrounding Heritage Turkeys in 2005 when ALBC released its first Heritage definition for turkeys. He hopes the Heritage Chicken definition will result in the same success for Heritage Chicken breeds. 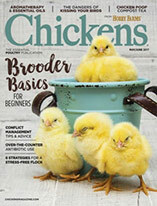 “These are the perfect birds for outdoor production,” Reese says of his Barred Plymouth Rocks and New Hampshire chickens, both Heritage breeds. That makes them the best choice for those wanting the Animal Welfare Approved seal for humane production. “The right breed for the right environment” is an important step in raising farm animals humanely, says Anne Malleau, Associate for Global Meat Coordinator, Whole Foods Market, and former Research Director for the Animal Compassion Foundation. Why the Interest By the ALBC? So why does The American Livestock Breeds Conservancy, an organization interested in genetic diversity, care about defining Heritage? Heritage Chickens come from long lines of historically useful and productive birds. As late as the mid-1950s, chickens like the Barred Plymouth Rock, the Jersey Giant and the Buckeye were found in butcher shops and on dinner tables. “Most so-called Heritage Chickens, turkeys, and other farm animals, are in danger of extinction. If we can give these animals a job again, we are more likely to be able to save their valuable genes. These genes ensure their bodies are healthy and may include resistance to disease and parasites,” Bender says. 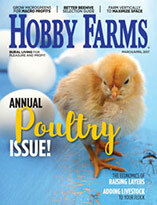 Diversity in poultry breeds is critical for the long-term survival of the species. Heritage breeds provide this diversity along with many other hardy characteristics. Heritage Chicken and eggs sell for a premium price. Buckeye breeder Doug Brown of Cedar Grove, North Carolina, sells his eggs for $3.50 a dozen and sells whole chickens for $5.00 per pound to some of the best restaurants in the area. “They can not get enough of them,” says Brown of his eggs. “They insist they are the best eggs they have ever eaten.” Brown is still expanding his flock, so he does not have many whole chickens to sell. What he does have available is in high demand. The flavor of Heritage Chicken is better, too. It varies from breed to breed “which is the reason the definition specifies that the breed must be named on the package,” says Bender. Some have darker meat with a deeply intense chicken flavor. Consumers have found that Heritage Chickens are succulent, flavorful and worth the higher cost. When consumers enjoy a highly memorable meal, they are also helping to save endangered breeds. Ironically, eating endangered breeds of livestock and poultry can ensure their survival. 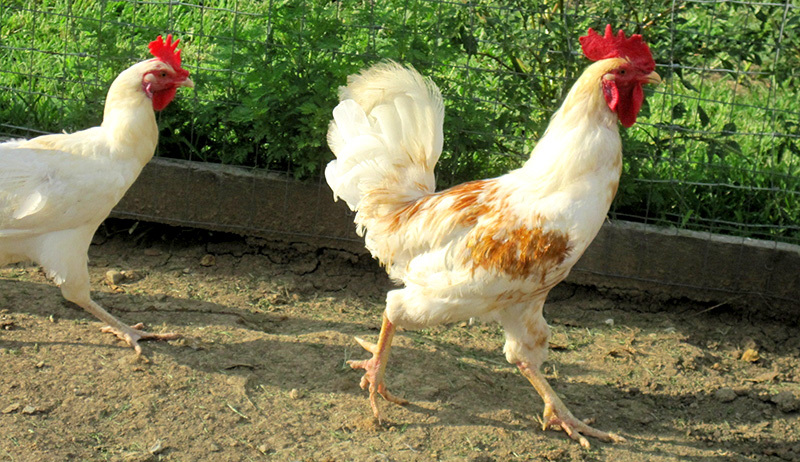 See the complete definition of Heritage Chicken and to learn more information about Heritage Chicken breeds.